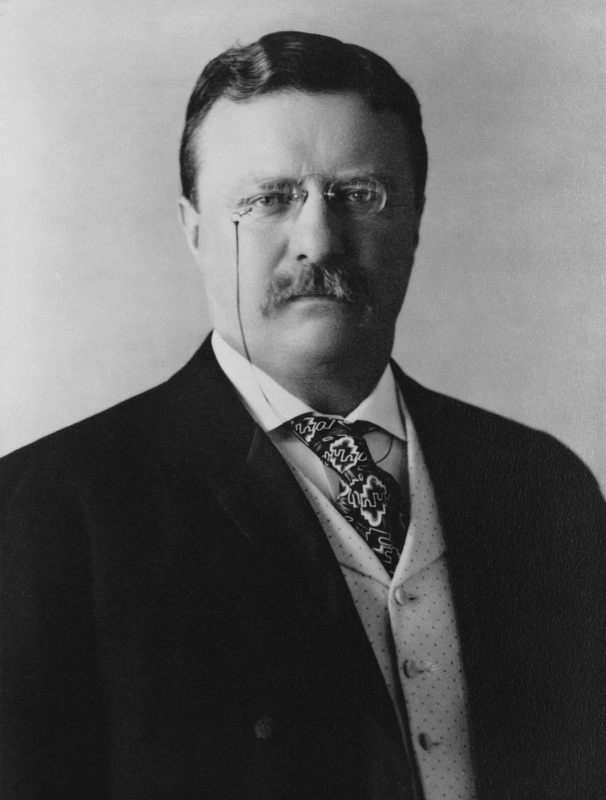 Theodore Roosevelt, President of the USA, was born 27 October 1858 in New York City, New York, United States to Theodore Roosevelt (1831-1879) and Martha Bulloch (1835-1884) and died 6 January 1919 in Sagamore Hill, Oyster Bay, New York, United States of unspecified causes. He married Alice Hathaway Lee (1861-1884) 27 October 1880 in Brookline, Massachusetts, United States. He married Edith Kermit Carow (1861-1948) 1 December 1886 in London, England, United Kingdom. Ancestors are from the United States.